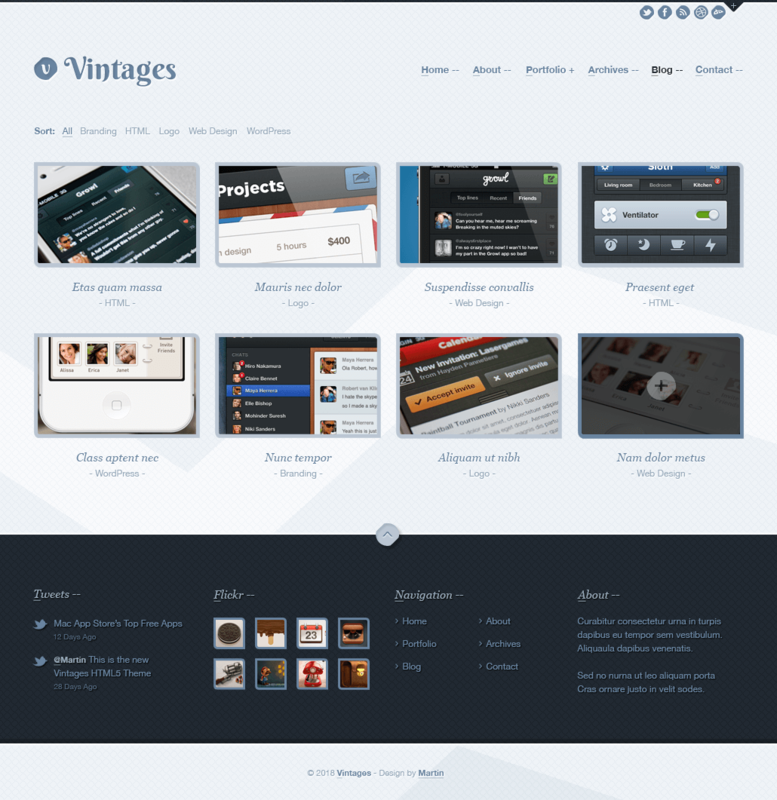 Vintages is as PSD-Portfolio-Template approved by a themeforest.net reviewer. 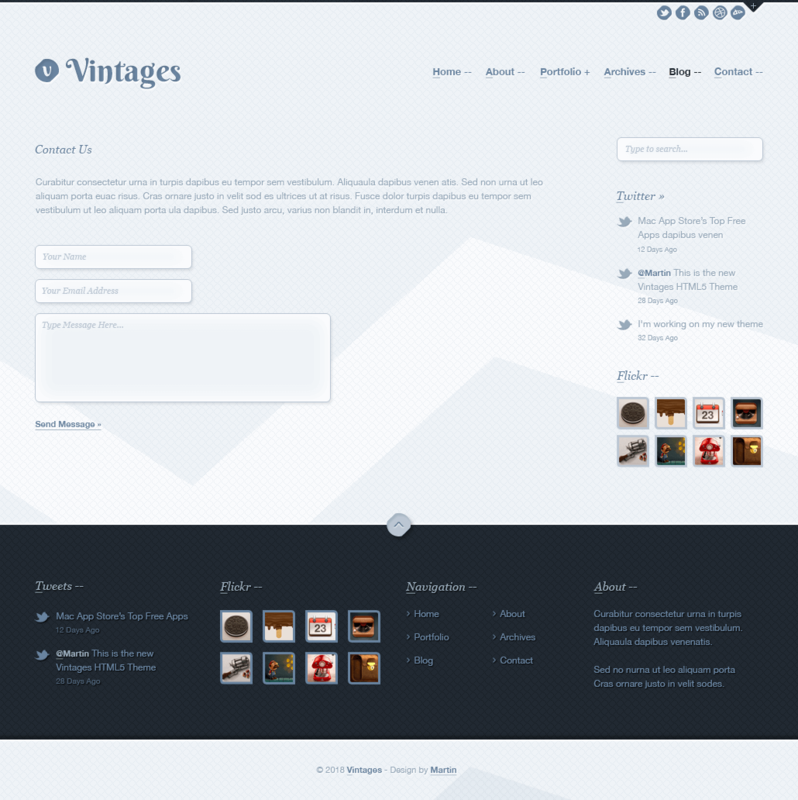 It was meant to be implemented within my own WordPress Bunker-Framework, however, due to different priorities and other projects, this theme was never sold on themeforest.net. 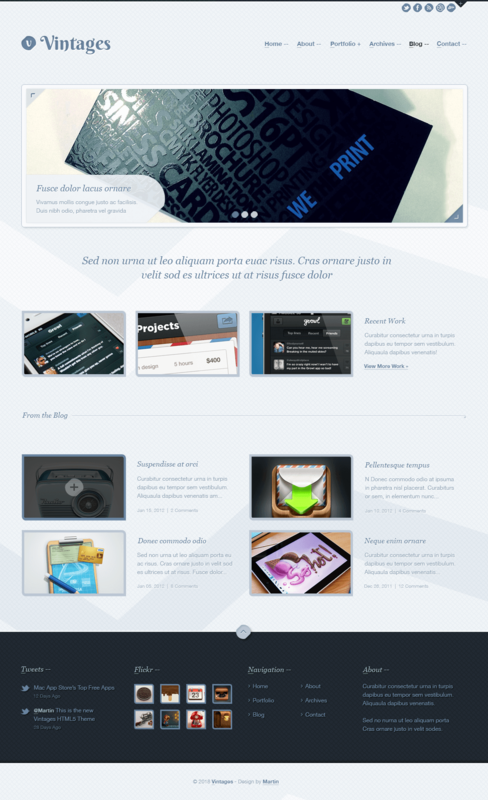 The images used for the design are from Román & Robert.